If you believe that creating great content alone is enough to open floodgates of traffic to your blog, you need a reality check. High quality content is unarguably the most important factor in attracting sustainable traffic, but it’s not the only thing you need to worry about. To find readers, convert them into subscribers and keep them coming back for more, you need to aggressively promote every post you publish on your blog. In fact, some of the biggest names in the blogging industry believe that you should spend only 25% of your time creating content, and 75% time in marketing and promotional activities. But content promotion doesn’t mean just sharing random links on Facebook and Twitter. You need to have a set marketing pattern for every post you publish. You need to identify the platforms and channels that can give you relevant and high quality traffic every time you use them. In this post, I’m going to share a few ways you can create early momentum for your content and instantly attract traffic to every post you publish. Before you actually start promoting your content, you need to understand that people read and share certain types of content. If your posts are not designed according to reader preferences, you’ll find it hard to attract social media love even if you promote your posts aggressively. So it’s really important that you create the right kind of content that people actually like sharing. To be more specific, here are a few types of posts that’ll always attract more traffic and social media shares. I’ve described these content types in one of my previous blog posts. So you can read about them in detail if you want to learn more. A great way to attract lots of Tweets and easy traffic from Twitter, is by including 2-3 Tweetable quotes in your posts. Tweetable quotes are catchy statements from within your blog post content. Readers can Tweet these prepopulated statements with a single click. Many leading blogs now use Tweetable quotes as a permanent part of their content strategy, and it usually brings them additional exposure and traffic from Twitter. 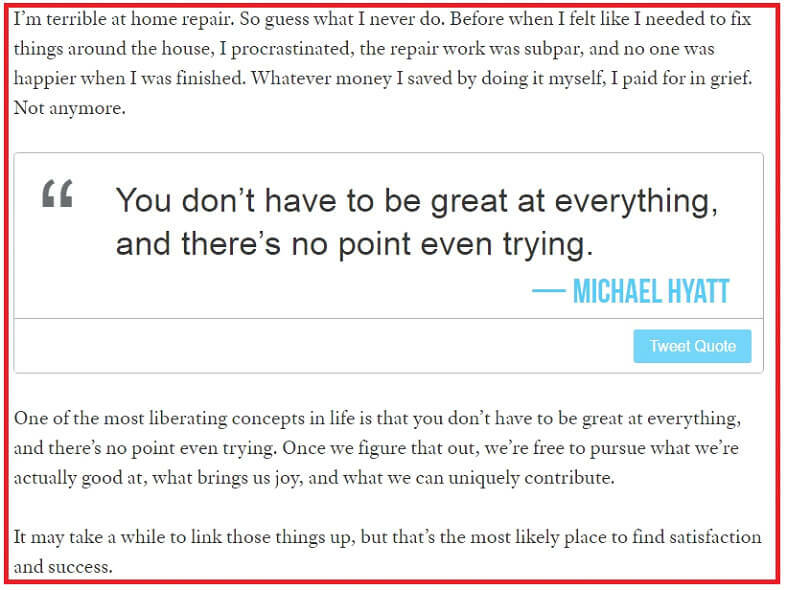 For example, here’s a snapshot from, New York Times bestselling author, Michael Hyatts’s blog. You can create prepopulated Tweets by using services like ClickToTweet. There are thousands of groups and communities on Facebook, Google+ and LinkedIn. By sharing your newly published posts with even 10-20 groups, you can attract dozens of readers every time. But to make this work properly, you need to identify the right groups and communities, join them and regularly contribute to the different discussions happening. If you start posting your links from the first day, you’re likely to be banned or kicked out of the groups. So you need to build conversations first, and then share your links only when they add value to a discussion. But there’s no doubt that groups and communities on these leading social networks can bring you lots of visitors. If you want to generate early momentum for you content on Twitter, there’s no better service than JustRetweet. JustRetweet simply works on the principle of “you scratch my back and I scratch yours”. It has thousands of real Twitter users sharing each other’s content in return for pre-defined credit points. The more points you have the more Tweets you can attract. I usually get 100-150 Tweets within the first 1-2 days of publishing my new posts by using JustRetweet. It’s a great way to get the ball rolling. Scoop.it is a content curation platform with thousands of active members. Members have their own scoops where they curate their favorite posts from around the web. When you publish a new post, simply submit it to 30-40 relevant scoops in your niche. Make sure the scoops you select have a large following. Even if your submission is accepted by 15-20 scoops, you can generate lots of traffic and social shares to your posts because popular scoops have thousands of followers. 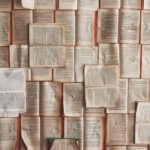 Submitting content to social bookmarking sites sounds outdated. But it still works well if you do it the right way. Bookmarking sites like Digg, StumbleUpon and Reddit have unique audiences with different preferences. But if your content becomes popular on any of these sites, they can literally open floodgates of traffic for you. So I always recommend submitting your new posts to these sites, even if you don’t see immediate results. Just make sure your post headlines are really catchy and attractive for the readers. These detailed guides on using StumbleUpon and Reddit can help you learn more about this subject. If you can afford to invest $10 for marketing every post you publish, you can achieve great results with Facebook advertisements. Not only are they easy to configure, but they also allow you to target your audience with pinpoint accuracy and drive engagement on your Facebook page. In just about $10, you can run an ad campaign promoting your new post, and attract hundreds, sometimes even thousands, of readers. I’ve personally found Facebook ads much more effective than Google Adwords and many other paid advertisement services, specifically for promoting blog posts. If you really want to convert your social media accounts into traffic powerhouses, you need to change your approach from random posts to properly scheduled updates at the right times of the day. For this, you need to build a social media calendar. There’s nothing complex about it really. 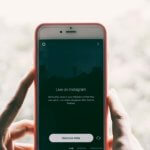 You need to identify the top engagement times of your audience, and then schedule your social media updates automatically during the peak engagement hours. You also need to have a system in place to repeatedly post your content on different platforms. Here’s a good example of a social media calendar. Just remember that the most successful social media users post their content repeatedly in the peak engagement hours. So you can’t just sit back after sharing your post once. 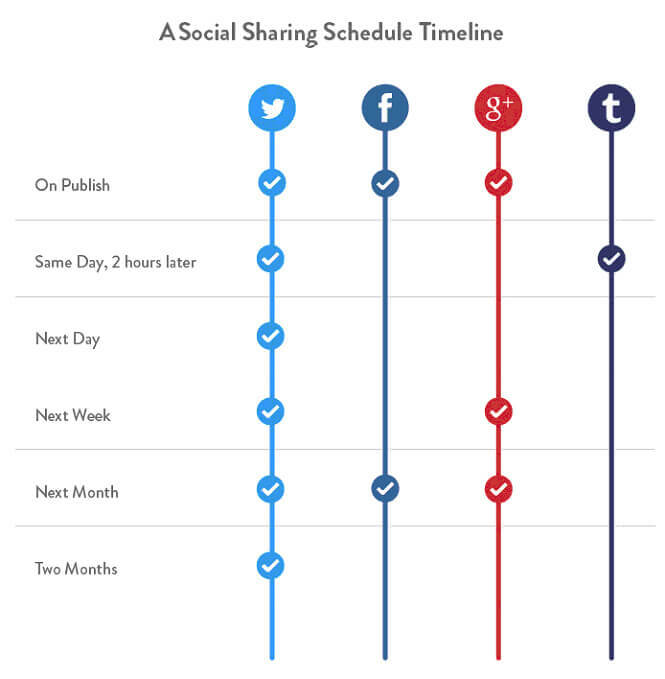 You can use automation tools like Buffer to schedule your social media updates. Whether you’re posting your content on Facebook, Twitter or Google+, you should always use relevant hashtags with them. Hashtags increase the organic reach of your social media posts and help you reach users who’re outside your immediate circles. Research shows that including up to three relevant hashtags with your social media posts can bring optimum results. Here’s a great infographic on effectively using hashtags. If you want to attract traffic from different social media websites to your blog, you need to have an aggressive promotional strategy for it. You can’t expect people to visit your blog if you just paste links of your posts on Facebook and Twitter. If you follow some of the techniques I’ve shared in this post, you’ll see a clear rise in social media traffic to your blog. Have you tried these tips before, or do you know any other ways to get quick traffic from social media?